Flower girls. 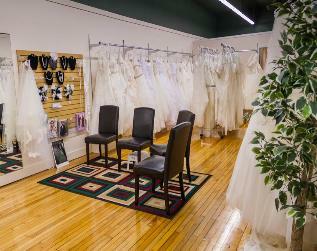 Large selection of wedding gowns to choose from. Tuxedo rentals, alterations & gown preparation available.